Shop in our museum store for unique, science-themed toys and gifts. Pick up a souvenir to remember your science center visit, or find a gift for your science-fanatic friends and family. 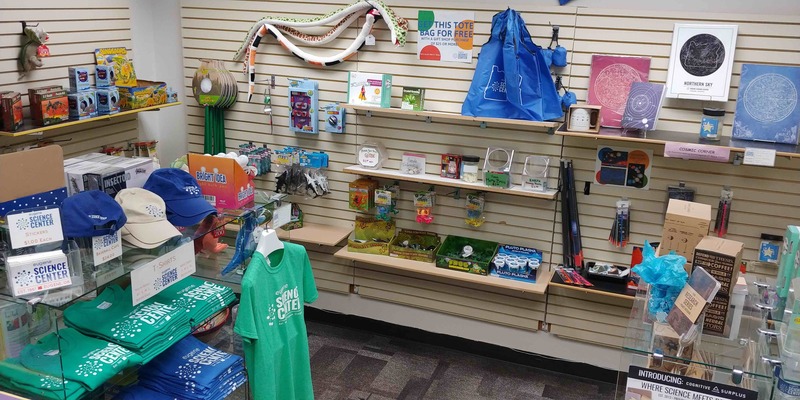 The museum store has great items to choose from including science kits, toys, books, t-shirts and more. Members receive a 10% discount on store merchandise!